Minecraft Basics – Learn how to craft basic items, build your house, mine for gold & diamonds and survive in a world filled with zombies, creepers and giant spiders. Creative Mode – Fly into space, dive to the bottom of the ocean, build a roller coaster or a skyscraper or anything else you can think of. Redstone Engineering – Learn the basics of digital logic while building moving doors, traps and anything else you can think of. WorldEdit – Build anything you want using common geometric shapes. Giant pyramids, spheres of Lava, walls of ice can be created with simple commands. “Modding” Minecraft – How to get ‘under the hood’ of your Minecraft® installation and install mods that add on to the game. Making a Minecraft Video – Learn how to record a video of you playing Minecraft and how to share it with friends or on YouTube. 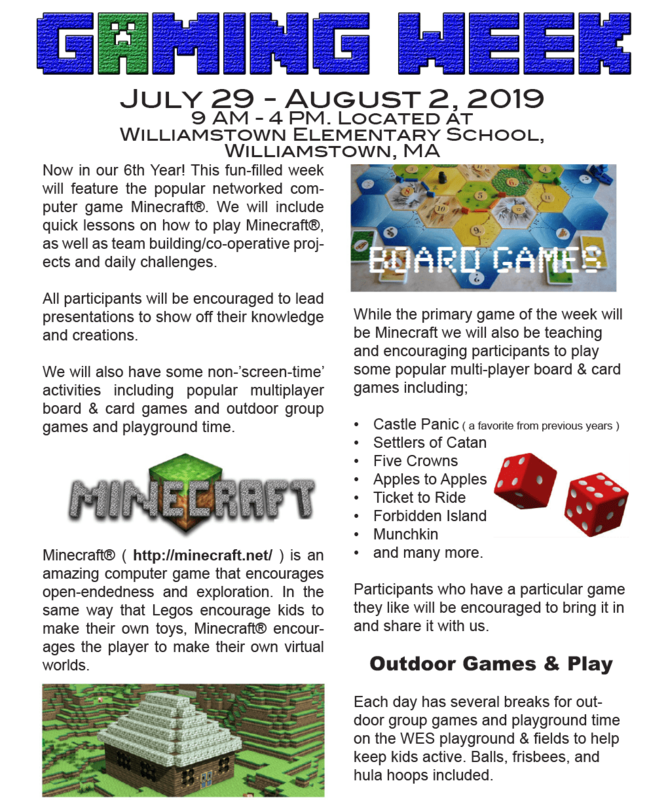 Other Topics – Participants may ask for other topics related to Minecraft, game making and computer programming and we’ll do our best adjust plans to meet their needs.